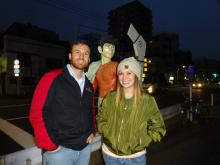 We are Trip Designer INC.
We offer local guided tour around Japan. Take a deep trip with us! 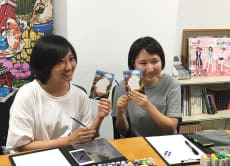 Learn to draw Manga like a pro in Harajuku! Highly recommended for travellers seriously into Japanese history and culture, you get to learn about and see things you otherwise would almost definitely not get exposure to. 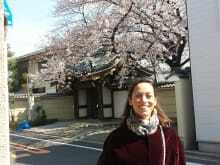 My guide was extremely nice and knowledgeable, and helped me further deepen my understanding of Japan. A lot of the content covered in this tour is rather deep and dark, so if you are interested in and prepared for this sort of stuff, definitely an unmissable experience. This is a side of Tokyo that most people don't see, and I was thoroughly unfamiliar with it. The tour guide was a very friendly and personable guy, but , frankly, his limited English put a damper on things. He would at times point at something and then say something I didn't understand. He did, however, have a helpful binder with some photographs and text so I could read what he was unable to tell me. I thought it would be interesting and even a little bit scary or creepy to see the Edo period execution grounds, but the guide pointed to a highway overpass and said something like that was where it was. Not his fault of course, but something to know. 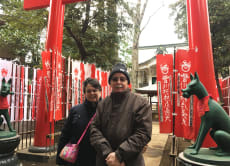 I have had other tours with Voyagin and the English ability of the guides has never been an issue before, so I consider this an exceptional circumstance. Absolutely wonderful. Very knowledgeable and very patient with us wanting to stop and look at everything. It was great experience even for myself born and raised in Japan. 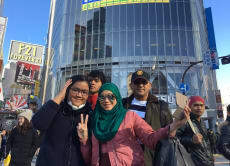 Sakai-san is so knowledgeable and considerate guide that I was impressed by every single spot with her clear instruction. Those four hours flew by so fast! 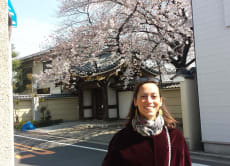 Defenitely recommend to any tourist looking for exciting and exclusive experience in Tokyo! !